Sign up for Broadjam today to follow Night Rider & Trashy, and be notified when they upload new stuff or update their news! 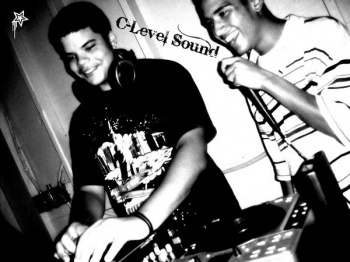 In late 2005, two long time friends came together and decided to start a djing group; they would call it 'C-Level Sound', because of the leader of the group's firstname - Charles, and because they lived on a small island in the Caribbean, it was a play on 'sea-level'. As the two friends' musical talent grew from djing together at various local gigs, so did their passion for music. And it was decided that, with the money acquired from djing, they would invest in setting up a home studio to start writing and producing their own music, and thus the duo Night Rider & Trashy was formed. Charles "Night Rider" Godet, singer/songwriter/producer, has been playing keyboard since the tender age of 7 and currently runs his own band, "C-Level Band", another branch of C-Level Entertainment. Brad "Trashy" Scott, songwriter/rapper, has been writing lyrics from as far back as he can remember, and is the main songwriter for the duo.